Hi, friends! One of my all time favorite tools that I use for creating fun things for my classroom is my Silhouette Cameo, and I’m so excited to share some of my own classroom Cameo creations, as well as a few others! A few years back, I got into the business of designing invitations… and by business, I mean for my niece and nephew. That particular year my nephew wanted a pirate themed birthday in the worst way. I scoured Pinterest for some design ideas, and found one that was absolutely perfect. Of course, I got to work designing the perfect invite. The only problem was that I didn’t have a cutting machine to cut out the pirate ship. I thought about buying a machine solely for this project, but then opted to buy just the cartridge and borrow a friend’s machine. I knew I wanted a cutting machine that allowed me to cut numerous images and fonts without having to purchase a separate cartridge. A few weeks later, I read about the Silhouette Cameo on Growing Kinders. I knew it was exactly the machine I was looking for, and I could hardly wait to begin creating awesome projects for my home and classroom! Here are some of my own creations and few of my favorite Silhouette finds! These are perfect for back-to-school teacher gifts! I like to keep mine at my small group table, or even on top of my desks filled with colorful pens, Sharpies, and Mr. Sketch markers. You can read more about how I made these here. These also make great teacher gifts. These were one of the first creations I made with my Cameo! I absolutely loved our back-to-school photo prop this year! It was super easy to make, and I can definitely use it again next year! This year, I decided to make some felt storyboards that my kiddos could use to practice retelling some of our favorite stories. You can read more about these creations here. This is by far one of my favorite finds! A Year of Many Firsts nailed it with these brightly colored words of wisdom! This is a must see tutorial! 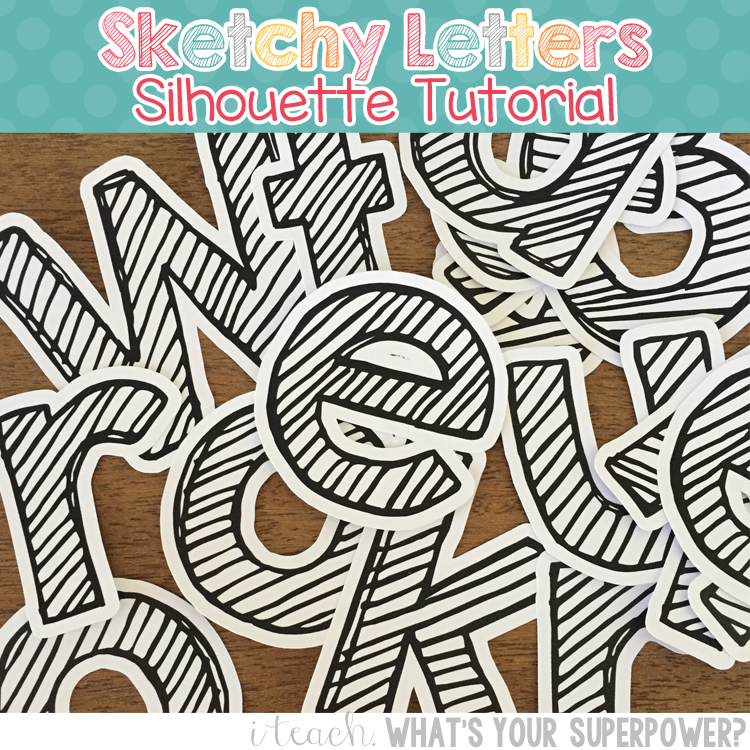 Megan from I Teach What’s Your Superpower walks through each of the steps to cutting out letters with your Silhouette Cameo! Rowdy in Room 300 used some of Melonheadz adorable clipart to create these personalized water bottles for her own kiddos, but I think they would be super cute as an end-of-the-year gift too! 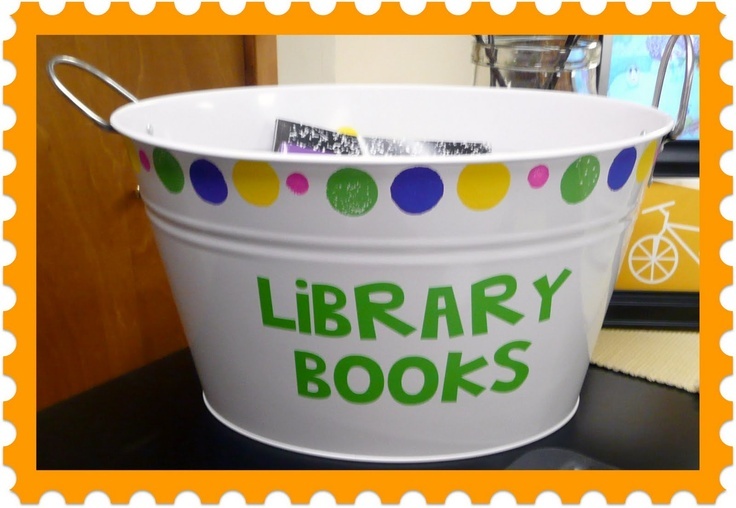 This book bin from The Very Busy Kindergarten is a super cute way to collect all of your library books! I desperately want to recreate this “Oh, hello.” door from What the Teacher Wants! Talk about adorable! Did you know that you can purchase these predesigned quotes from Silhouette’s Design Store?!?! Now, I just need to find the perfect spot in my classroom! 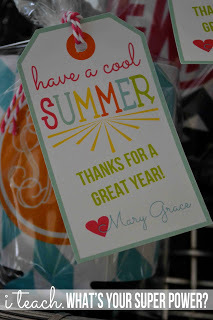 I’m loving these simple gift tags from I Teach What’s Your Super Power! I think I’ll be busting out the Cameo to make some Christmas tags! How cute is the front of Funky Fresh Firsties’ desk?! Sun, Sand and Second Grade used her Cameo to create headers for her focus wall and calendar. Genius! Is this not the most eye-catching back-to-school board?! I almost can’t wait until next year so I can create this wall of awesomeness! Another reason I purchased the Cameo is for its ability to cut out printed material. Simply send your file to the printer so that Silhouette’s Design software can create print marks. Then, insert the printed file into your Cameo machine, and PRESTO! The Male Kindergarten Teacher is taking full advantage of this amazing feature! 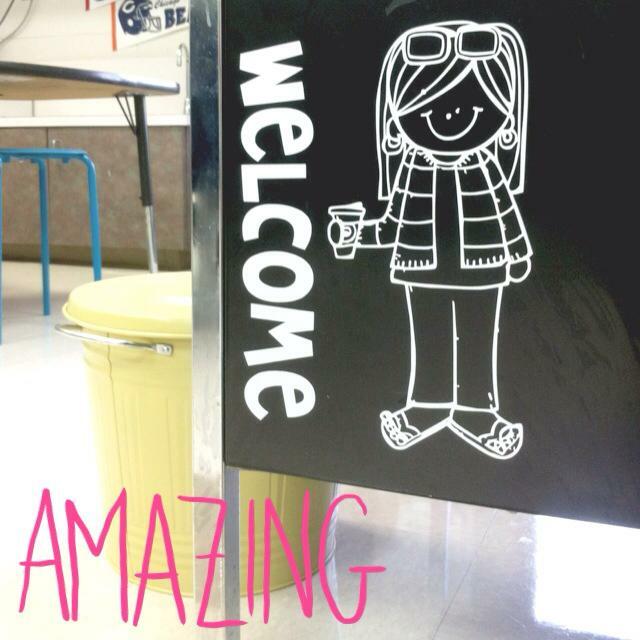 If you are looking for more classroom DIY projects, don’t forget to check out my “Classroom DIY” board on Pinterest! 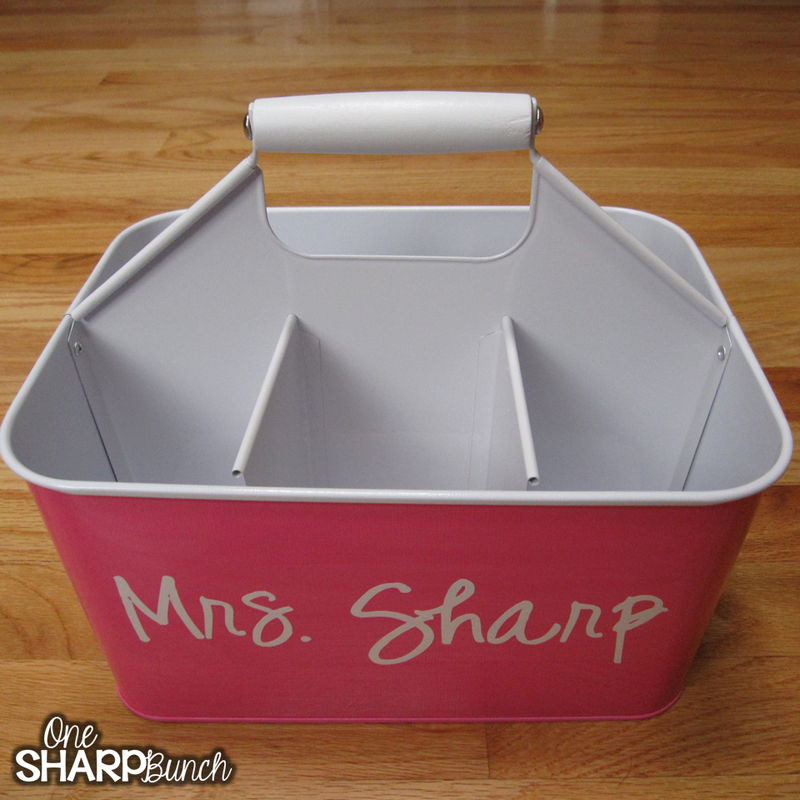 Follow One Sharp Bunch’s board Classroom DIY on Pinterest. Now that I’ve given you a million classroom Cameo ideas, you all can see why I can’t live without my Silhouette Cameo! I have never used one, but I would use it for everything. I love that there are endless possibilities! I would use it for bulletin boards and wall art for starters. Thank you for the opportunity to win. Such a great giveaway! Thank you Ashley!!!! I hope it spits out my name!!! Have been eyeing these for a while. Would love to use this to make letters for the board for standards. I am so ready to place an order for you to create me some things!!!!!!! I'm so excited!!!!!! Wow! I have so many ideas now. I love the idea of using the custom labels. I have never used one so I don't have a favorite project of my own yet but I love the water bottle idea!! I used a Cameo to cut out a vinyl sign for my classroom door. It makes me smile everyday! Hi! I have never used a silhouette cameo before, but I've always wanted one! I would probably label everything from my house to school! I love all of your ideas and the limitless ones I've yet to explore! How awesome! I've never used a silhouette cameo before I was debating on whether to buy it or a cricut! I would love to win one! Can't wait to go crazy crafting if I win! I've wanted to try one of these for a while. I love all of the inspiration pictures that you shared. So many possibilities! I have always wanted a Cameo! And now I HAVE TO WIN so I can make that Hello window! Adorable!!!! This is the only item on my most dearly wished for Christmas list. I dream about the center items I can design and make, the too cute water bottles for my littles, the amazing bulletin boards I could create, the swat signs and decorations for my Kinder classroom that I could make, the labels for organization, cutest t-shirts ever, especially for field trips and special events like our Christmas program coming up…… I keep dreaming of wonderful creations that I could make when my dream comes true…. Love all of these ideas! Can't wait to make flannel pieces! Thank you for sharing! All of it!!! I really love the bulletin boards and the desk. Pretty! This is awesome! I have never used a machine like this but since my drawing skills are less than desired, this would be right up my alley. Thanks for this amazing giveaway! I love that you included so many examples of how people have used this in their classrooms! I've need had/used one either, but it's always been on my wish list. I am constantly cutting out tiny little pieces and wording to use in my classroom. It takes up so much time! Really hope to have one of these! I would love to win one of these to use in my Kindergarten classroom!!! As a first year teacher I would absolutely love to have this to use in my second grade classroom!! This would be amazing, even for a middle school teacher like me! I currently have a Cricut but this would be phenomenal! I can make planner stickers!! Many of the students I work with require visual schedules, sub schedules and visual components to verbal directions. I imagine that a Cameo would allow me to tailor images based on the days need. I also find the thought of using my prep for something other than cutting out printed icons dreamy! I would love to win this to be able to do story retell boards. I do that a lot with my students. Also a lot of my students need a lot of visuals like schedules and directions this would be helpful for them to see and it's eye catching. I've never used one but I have so many ideas to try in my classroom!! Thanks for the giveaway!! I'm pretty sure that I'd wear it out if I had one! I'd sure love to try! My favorite classroom project are the clipboards. I would love to be able to make personalized clipboards for my team mates! My fingers are crossed! 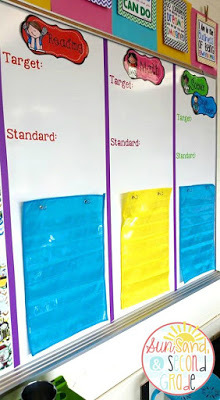 I am soon to be a first year teacher, and would love to use this to label everything in my very first classroom! Thanks for sharing all the wonderful ways of using a Silhouette cameo! I have never used one but I sure would like to win one!!! All of the ideas look awesome, I would love to make my own personalized baskets. 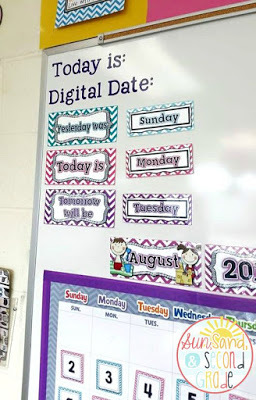 I have never used one, but from your pics I know I could use it to personalize and make great labels for my classroom as well as my apartment. 🙂 Thanks for the opportunity! I never realized there were so many great ways to use the Cameo! Very creative! I teach Pre-k and everything has To be labeled.. this would be perfect. These are awesome projects! I did not realize the Cameo was so versatile! I especially like your first day of school photo prop. That design would be wonderful as labels or to designate areas of the classroom. Wow! I have seen machines like this around and never had any idea how many cool things you can do with them. I'm a classroom teacher, quilter, and all around crafter and don't know how I've done without this machine. This is something I need to look more into. Thanks so much for this post and contest. I NEED this SO badly in my life now that I have read your blog post! I have gone back and forth about getting one. So many ideas are going through my head for my classroom and for creating invitations for my son's birthday celebration. Fingers crossed for a win! Thank you so much! I would love to decorate my room with this, especially my book bins! I would love to do the "hello" on my door! Oh my gosh!! the possibilities are endless!! but, I have one big blank wall behind my computers and I would love to put some sort of inspirational quote or wordle there 🙂 thanks for the chance to win this!! I would love to label everything. And I'd give personalized clipboards to my teammates. I was always hesitant about purchasing a Silhouette because I didn't know if it was something I needed. After seeing your post, I'm hooked! I've never used one, but I'd make bulletin board letters and personalized clip boards as gifts. Golly! I have teetered back and forth about getting one of these! I just LOVE this collection of amazing ideas! I think I really NEED this! Oh gosh! There are so many things that Silhouette can make! I can't imagine how wonderful my life gonna be with this super awesome machine! Silhouette is definitely a life saver for all the teacher! I LOVEEEEEEEEEE to WINNNNNNNNNN this Silhouette!!!!!!!!!!!!!! Thank you so much for the chance! I have never used one but had always been eyeing one! I totally foresee myself using it a lot for the classroom centers and decoration. How convenient it would be to save time on cutting, and have more for preparing learning materials and teaching aids! I have admired the work that I have seen on blog posts. I would love to win this so that I could let my creativity show in my classroom to further inspire my inner city students. The beauty, ease of use, and convenience would life my spirit as well. Sometimes I feel overwhelmed and bogged down with new initiatives, demanding paperwork, reports, etc…. and beauty and creativity have taken a back seat. This would help to bring it back! I would love to make my kiddos personalized water bottles and pencils boxes and anything else I can stick their names on!!! I would LOVE to make a focus board for my classroom! All the ideas posted on your blog were fantastic! It got my heart racing with all the different possibilities!!! I have never used a Cameo before, but the possibilities would be endless! It would be a great tool to use to label group caddies, desk nameplates, cubbies, mailboxes, bulletin boards, even the classroom library! I want this tool! I have never seen one or used one, but I KNOW the I would use it like crazy in my Head start classroom! What a great little tool!! I haven't used one… BUT some of the projects I'd like to make are labels for hand sanitizers (to make them bathroom passes), cups/waterbottles for my colleagues as holiday gifts, lettering to decorate and spruce up the front of my desk! I love that it can cut out printed items!! I also saw a Box Tops mini trash can and it was super cute! 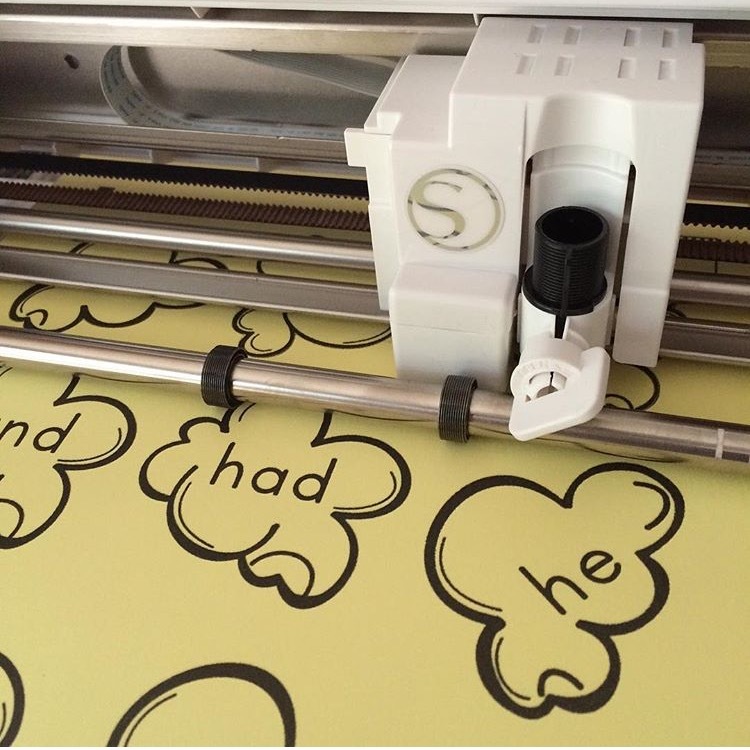 I love the idea of using it to cut out printed items! genius! I have an older Silhouette model (the SD) and I'd love an updated one! I've used it a lot for my classroom to cut name tags, game pieces, and letters and shapes for bulletin boards. I love all of your ideas! Center activities would be my favorite! 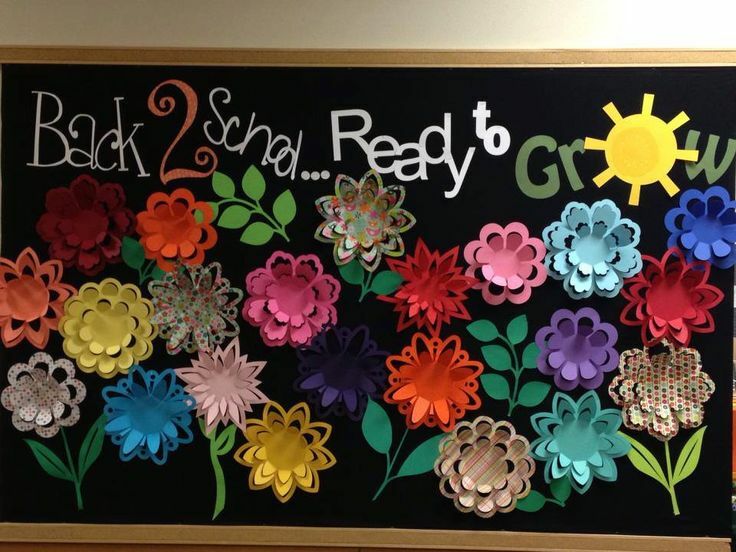 I loved your eye-popping, colorful flower bulletin board! 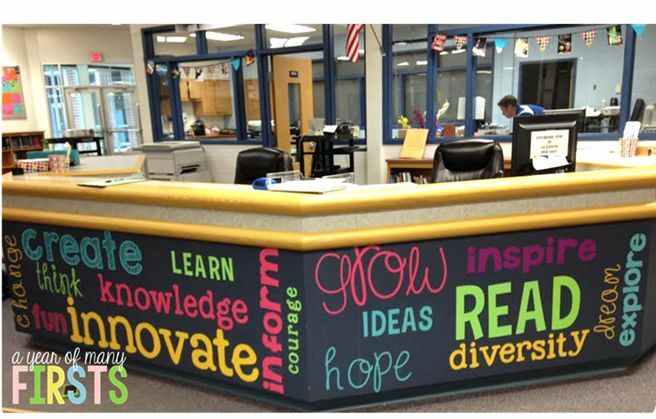 I LOVE LOVE the Wordle desk!!! I would love to make something inspirational like that for my desk! So many ideas! The photo props would be a lot of fun to make, and cute labels for everything would be cool too. Thanks for the chance to win!! This would be so awesome to have! I'm a first year teacher and this would save me so much time and money! I have ran across so many exciting art using a silhouette. I have never used one nor has any of my coworkers. This would be absolutely perfect to create my vocabulary word wall. This give way is the best evet! I have a cricut but I have been wanting a cameo. This would be amazing. One of my favorite classroom projects using the silhouette is creating classroom bulletin boards. The silhouette provides endless opportunities for creativity when it comes to bulletin boards or any classroom project. Creating bulletin boards and signs for various books we are reading. Oh I would so much wish to win one of these! I would make things for my students. I have so many ideas, I don't even know where to start!!! Your blog post was extremely helpful, though =). I think I am most looking forward to making gift tags and cutting out letters for bulletin boards, which is one my favourite things to do <3. Thank you so much for this extremely generous giveaway!! I LOVE how you shared all the different uses/ideas! The possibilities are endless! My classroom and home would be completely covered in Silhouette projects! I've always wanted one of these! I love this! I have heard of others using vinyl for words on their walls and white boards. I am on board and hopeful to win!! Our classroom theme is Team Tiger. I would love to put our team names all over our classroom. In addition I would love to create a new word wall and number line. So many great ides, want to do them all! I would love to make a Wordle Desk for the office, hope I win! Love these projects, and I must agree that the Wordle desk is pretty awesome! One of my favs for sure! I would love to learn how to use one. Thank you for so many great ideas! I have decided that this will be on my christmas list this year. I have such a long list of projects that this would be perfect for and would save so much time! I would love to use one to make labels. This would be amazing. The possibilities are endless! So many great ways to use the Silhouette! I have an older Cricut, but wow, this would be such an upgrade! These are amazing ideas! I would love to use this in my classroom to make my classroom inviting and engaging for my students. Thanks for sharing my tutorial! !